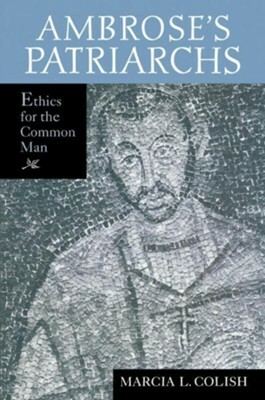 In this welcome new work Marcia L. Colish offers the only book-length study of the patriarch treatises of Ambrose of Milan (c. 340-397), in which he develops, for the first time in the patristic period, an ethics for the laity. Ambrose the ethicist has been viewed primarily as the author of advice to those with special callings in the church, such as priests, widows, and consecrated virgins. His views have been characterized as advocating asceticism and promoting a Platonic view of human nature, in which the body is a moral problem. Ambrose's patriarch treatises, argues Colish, are instead aimed at lay people who did not have special callings in the church, but who led active lives in the world as spouses, parents, heads of households, professionals, and citizens. These treatises reveal a different side of Ambrose and show that he developed an ethics of moderation based on an Aristotelian and Stoic anthropology, which he modified in the light of biblical ethics and St. Paul's view of human nature. through a careful consideration of the patriarch treatises in their historical context, as sermons delivered by Ambrose to the catechumens in his Milanese church whom he was preparing during Lent for their coming Easter baptism. The pastoral context and intended audience of these treatises have largely been ignored in previous scholarship. Colish contends that when the treatises are read as Ambrose intended for them to be received, as a corpus of works aimed at the conversion of pagan Roman adults to Christianity, Ambrose's vision of a Christian ethics for the common man emerges. Ambrose's Patriarchs will be invaluable to scholars in the fields of theology, classics, philosophy, and ethics. I'm the author/artist and I want to review Ambrose S Patriarchs: Ethics for the Common Man.